The Artground – A Curious Place to Be aims to be a space where all artists, young and younger, can be curious about discovering different ways of artmaking, and create works that are delightful for their audiences. We believe that all children deserve aesthetic experiences that are thoughtfully designed and considered. 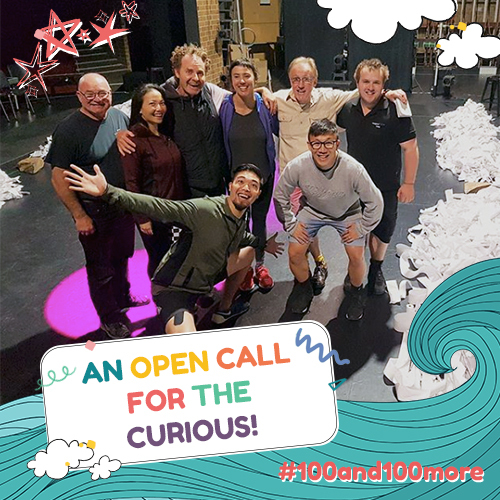 The 100 and 100 More festival serves as one platform through which we hope to nurture and inspire artists who are interested to create new works for young audiences. By creating opportunities for artists to participate, to engage and/or to view artistic practices with other artmakers presenting their works at the festival, The Artground hopes to foster strong partnerships between international and local artists and to encourage the sharing of knowledge and best practices so as to develop a dynamic and diverse landscape of artistic practices for our community. As a participating artist, you will have opportunities to interact and network with international artists from Australia, Denmark, Indonesia and Scotland who are presenting their works at the festival. Volunteer positions are open to artists at all stages of their careers, including emerging artists and art students who are curious about/wish to seek inspiration for the creation works for young audiences. Interested artists should submit an online application here. All successful applicants will be notified via email.